and can enhance your eyes na parang walang effort. Whether its a thin or thick line, it can make you eyes beautiful in just a few minutes! 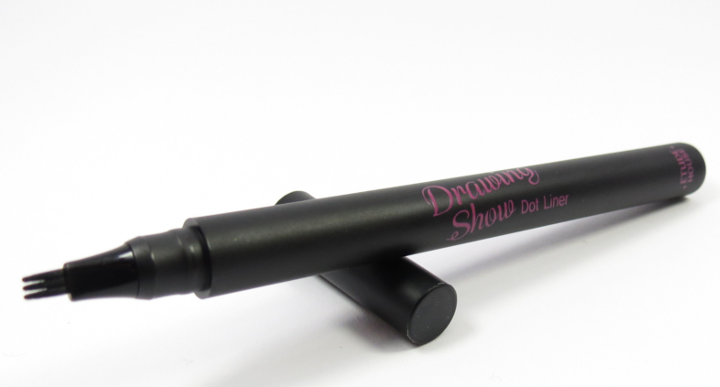 Here I used ETUDE HOUSE DRAWING SHOW DOT LINER. 1. Choose your color carefully. I prefer Black as it goes well with any kind of make up or look that you want to achieve. 4.You can keep the line as thin as possible para if you need to add more mas madali na lang! 5. Patience is a virtue. Try and try hanggang sa ma perfect niyo! This entry was posted on Wednesday, October 1, 2014 and is filed under angbatangmapangarap,makeup artistry,Makeupartistry. You can follow any responses to this entry through the RSS 2.0. You can leave a response.